Since I started my career as an independent designer in New York in 1998 I have focused my efforts as a design professional in the ever evolving technological economy to working on creative teams. You can read more about me on my profile page. The point is it is impossible to master all the skills needed to meet clients needs in a world on online branding through multiple media channels. 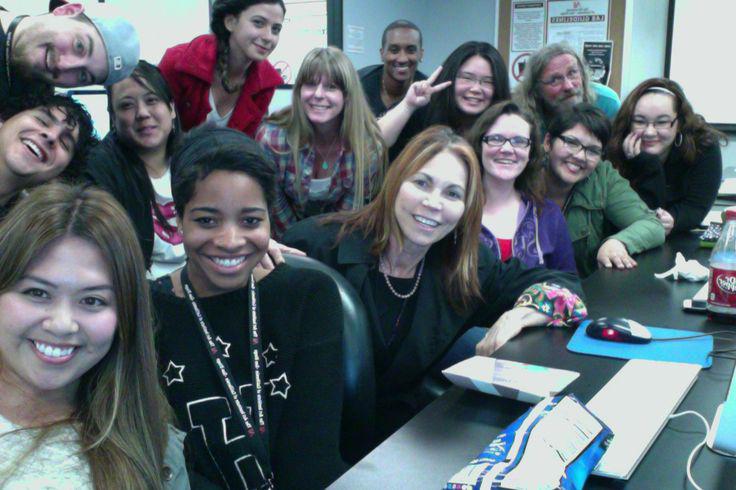 Here is a picture of some of my students from Design Team 1, a class I teach at the Art Institute of California – San Diego. I will be posting some recent work from this class soon.